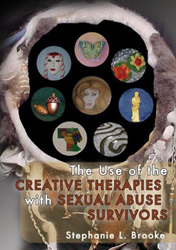 Inspired by Brooke’s (1997) work, Art Therapy with Sexual Abuse Survivors, The Use of the Creative Therapies with Sexual Abuse Survivors is a comprehensive volume examines the use of art, play, dance, music, and drama, to treat trauma related to sexual abuse. The author’s primary purpose is to examine treatment approaches which cover the broad spectrum of creative art therapies. The collection of chapters is written by renowned, well credentialed, and professional creative art therapists in the areas of art, play, dance, music, and drama. 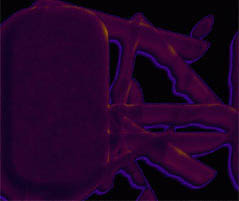 In addition, the chapters are complimented with photographs of client art work, diagrams, and tables. The reader is provided with a snapshot on how these various creative therapies are used to treat male and female survivors of sexual abuse as well as children, teens, and adults. This informative book will be of special interest to educators, students, therapists, and creative art therapists working with traumatized survivors of sexual abuse. To read a Sample Chapter – Introduction by Stephanie L. Brooke, click here.